While many people consider Indiana Avenue the epicenter of early black culture in Indianapolis, few may realize how far from “The Avenue” it stretched. Bordering the Cultural Trail at Walnut Street and Senate Avenue is a mysterious old brick building, yet to be renovated, but brimming with potential. 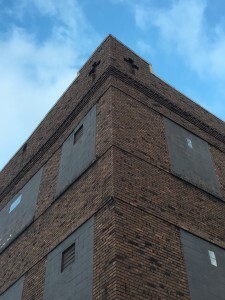 The large window openings fronting Walnut Street have long-since been closed up, along with the former doors and windows circling the rest of the building. 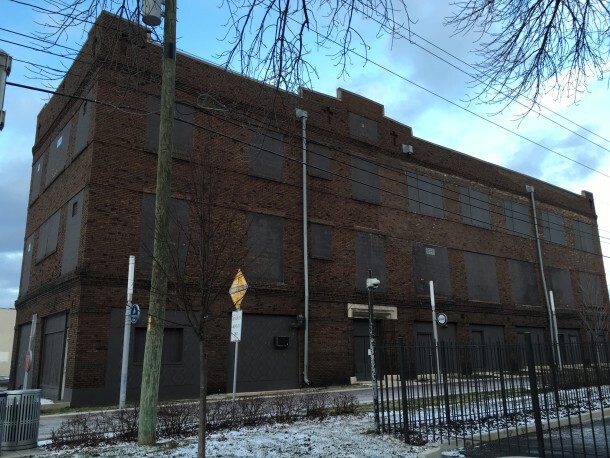 This building and the organization that brought it into being, were a bustling intersection of black culture in Indianapolis. It was built by the “Colored” Knights of Pythias. And who were they? The Knights of Pythias touted “Friendship, Charity, and Benevolence” as their motto and mission. The organization promoted the cause of universal peace and harmony between men, while also providing community services such as insurance, burial services, and other welfare activities for members. This bulleted list of the organizations tenets is a noble one, but incongruous and unbrotherly in the rejection of non-whites for membership, from the organization’s inception in 1864. The “colored” organization of Knights of Pythias, as so many other associations, was brought into being because the original/ white Knights of Pythias would not allow non-whites to join. Fortunately, rejection never equals defeat for the determined. Since some clever fellows could “pass” for white, they infiltrated some of the Eastern lodges–long enough to study the system– and then withdrew to start a “colored” version of the fraternal organization and brotherhood. One big difference in their iteration? There was no discrimination, and people of any race could join. Indiana’s “Colored” Knights of Pythias was organized in 1880 and the first lodge in the state was established at Evansville in 1889. Though the first Indiana lodge was extinct within 30 years, the second lodge, the “Pride of the West, No. 2” was established in Indianapolis. This strand of “K of P” continued to gain popularity among the black population in Indiana to such a degree that Indianapolis was a contender for the new “National Temple” location being sought in 1906. Indy lost to Chicago, however, where local members reportedly kicked in an extra $5000 to secure votes away from Indianapolis–that would never happen today, right? 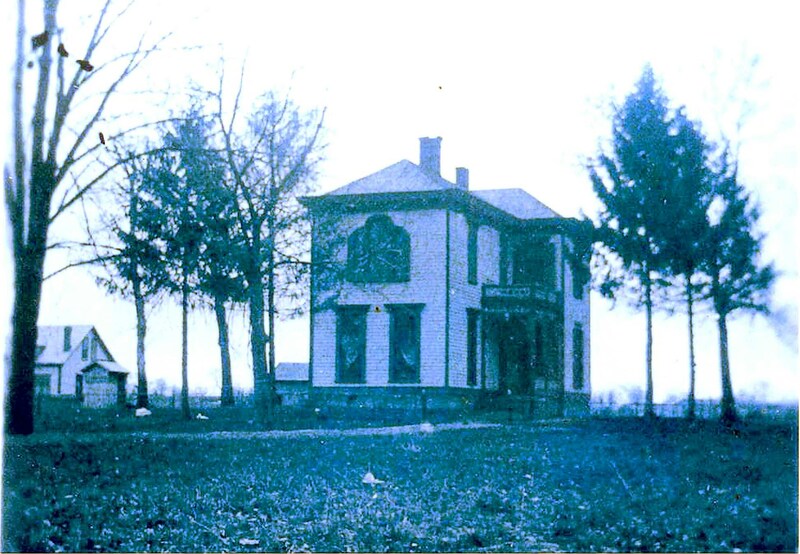 By 1910, there were 11 of the “Colored K of P” lodges in Indianapolis with approximately 1200 members. In 1908, four of those lodges (“Pride of the West, No. 2;” “Marion, No. 5;” “Montgomery, No. 6” and “Compeer, No. 31”) banded together to form a Castle Hall Association to create a Grand Lodge of Indiana. $4000 bought the land at the northeast corner of Senate and Walnut, leaving the organization to raise funds to erect a building. 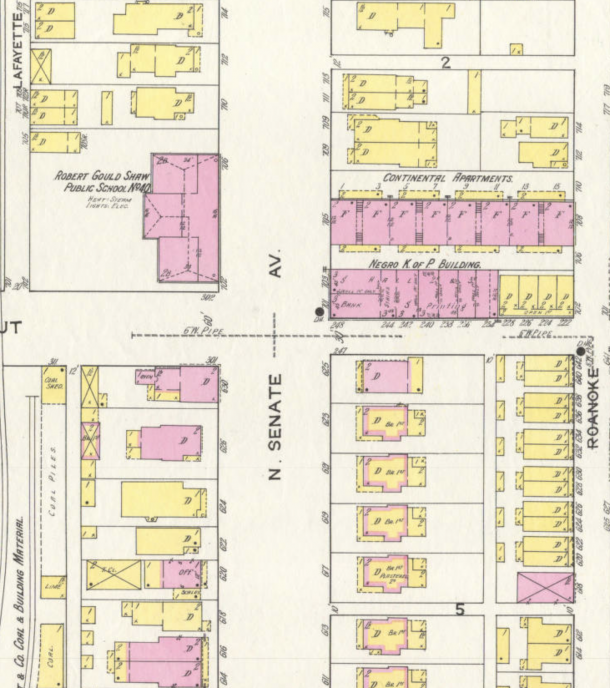 Six sets of plans were submitted by different architectural firms in March 1908–including designs from two black men. By the end of May, Frank Hunter’s design had been selected, and a Pythian Jubilee was held at Tomlinson Hall to raise money for the building’s construction. 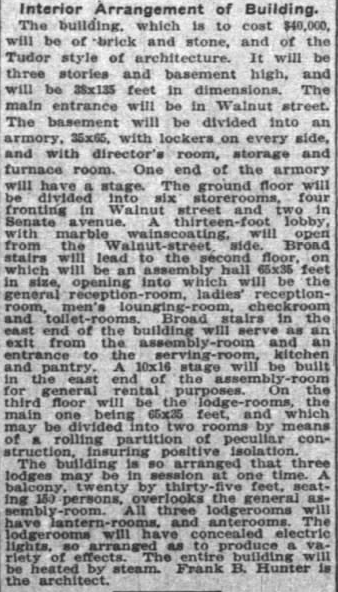 The plans for the building were detailed in The Indianapolis News, and the community waited. 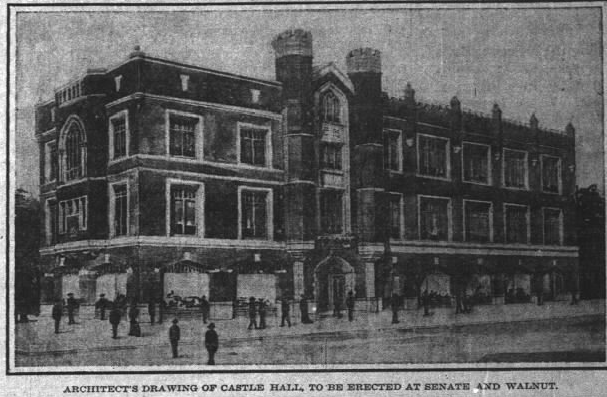 It seems raising the capital for the building was more challenging than anticipated, as the building’s cornerstone was not placed until December 1910 and the building not dedicated until February 1911. 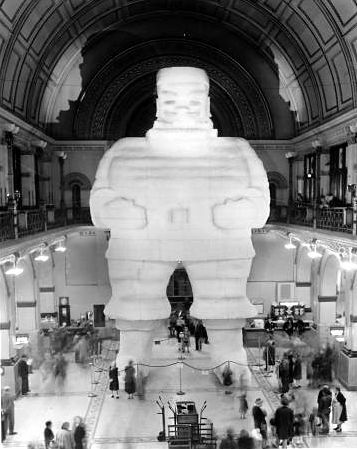 The original design evolved and was simplified from the original sketch– presumably, to cut costs. Very little detail remains of this once bustling hub of black culture in Indianapolis. By 1940, the Bankers Trust Company was suing the Colored Pythian Castle Hall Association for almost $23,000. This shell of a building does not show that beloved community newspaper, The Recorder operated from here at one time, no evidence remains of the many families who bought insurance here to protect their loved ones, and no trace of Madam C. J. Walker attending a meeting here. Just a beautiful bronze building, one of the few remaining vestiges of Indy’s early black community. As the National Trust touts, #ThisPlaceMatters, especially when so much of this part of our city’s story and culture has been erased. What would you love to see operating out of this gem? Thank you “Black History Month” for the prompt. 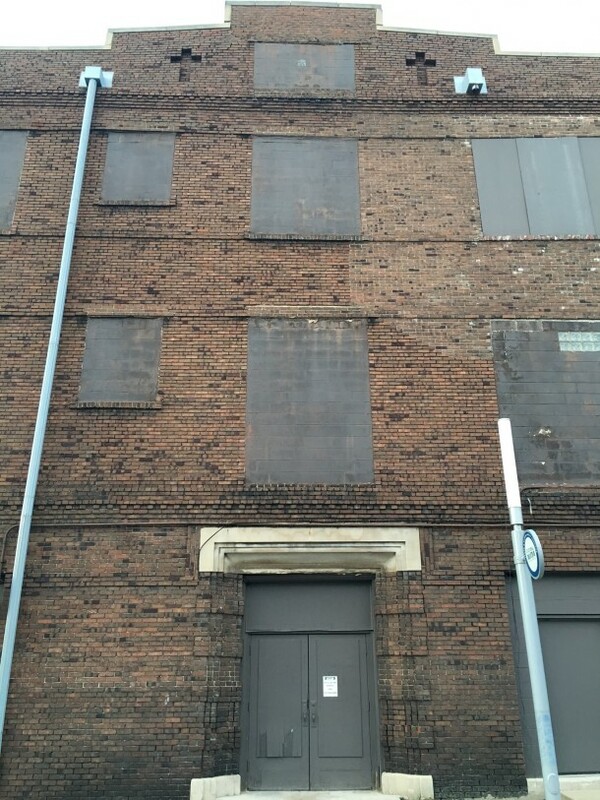 This building needs to be restored to a better use than a windowless warehouse. Since it’s right along the cultural trail it would be cool for it to be some kind of community center or offer something for people who frequent the trail. Maybe a portion for public restrooms, and a place to get snacks? The upper levels could be rented out for events, like dance nights, art shows, or special events like weddings. Does anyone know if there are any vestiges of the lodge meeting room(s) inside? None of the old ‘white’ Pythias Castles in town still have their lodge rooms in any way intact, so I’d love to know if this one does. Still has it! Huge room. Metal ceilings. Could be great place for event space or tech offices if redone. Needs a cafe on ground level. Right on the Indy cultural trail. Love this building. I would love to see this building brought back to life_rehabbed, repurposed, revitalized. The other readers’ suggestions as to possible reuses are good!